The last of the Tsaatan. Tsaatan people are amongst a few ethnic groups on our planet that are still very remote. It takes several days on horseback to reach them and contact is very difficult. It is a unique, ancestral and fascinating tribe Rémi Chapeaublanc spent several days with them, and went back four times, thus creating a unique relationship with the tribe. The idea of relaying their way of life in a completely naturalistic way, to unveil an ethnic group without disturbing it practically, while immersing the viewer in this unique part of the world rapidly emerged. They plan to welcome a child into their lives and start a family. In doing so, could they be living the very last years of their nomadic lifestyle? 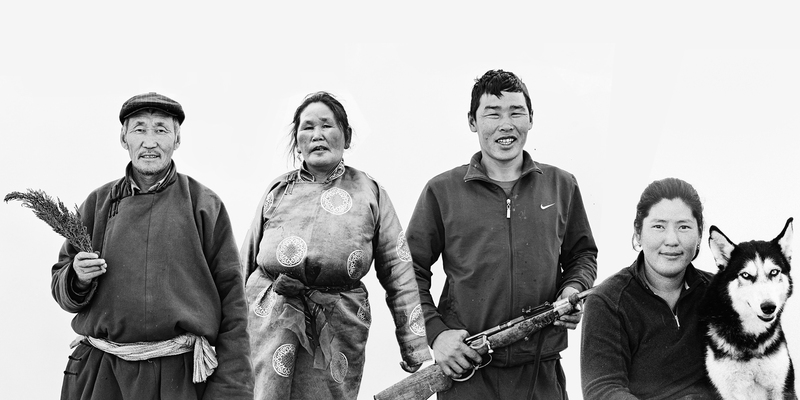 Through this gentle immersion into the Tsataan way of life, punctuated by personal accounts from Ultsan and Zaya, we set out to meet the last of the Tsataan. The Musée du Quai Branly – Jacques Chirac is a museum featuring the indigenous art and cultures of Africa, Asia, Oceania. The Quai Branly Museum opened in 2006. It received, ten years after its opening, 1.4 million visitors, that makes it one of the Top 10 worldwide of its category. The Musée du quai Branly is located in Paris, on the left bank of the Seine, close to the Eiffel Tower. The Musée will organize 360° projections of the movie, in a dedicated space. Photographer and filmaker, he has always been interested in others and travels without an interpreter, not speaking the languages of the countries that he travels across. For his series « Gods & Beasts » (2011), he crossed Europe and Asia up to Mongolia with his motorcycle. He produced portraits of nomadic Kazakh herders and their animals at nightfall, inside or outside the yurts, never resorting to touching up despite working in digital.